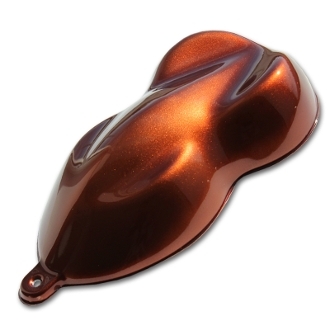 EyeKandy Copper Candy Basecoat Quarts - Buy Custom Paint For Your Automobile Or Motorcycle At Discount Prices! These kandy colors are created by combining dyes or highly transparent pigments with our urethane basecoat chemistry to create a color very close to that of the 2K catalyzed candys. However, the EKB series, candy basecoat dries faster, and tapes easier with less edge build than catalyzed 2K urethane candys. As such the EKB series is better suited for graphics applications and layering of tape-outs. Final color depends highly on the color of basecoat used underneath. Like the 2K catalyzed candy, this series of candy requires a metallic base to achieve a sparkling color. This type of candy basecoat does not contain pearl. if you are looking for candy base that does contain pearl you want to look at our candy graphic color basecoat. Like all true candy paints these paints do not last as long as normal automotive paints. For maximum durability consider one of our pearl colors. You can view those over here: pearl car colors. Check local regulations for compliance. For customers in areas requiring low VOC we offer a low VOC version of these basecoats. 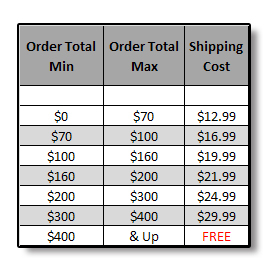 See more details below or contact us at info@thecoatingstore.com. How long do these colors hold up? As mentioned above candy colors do not last as long outdoors as normal automotive paint. The amount of time they hold up outside depends on the amount od time the paint spends in direct sunlight. Generally speaking vehicles painted with true candy paint that are outside all day everyday will need to be re-painted in approximately 18-24 months to retain the same rich color as a new candy finish. If the vehicle spends less time in the sun it can last longer. If you want a color that lasts longet consider one of our metallic or pearl finishes that last much longer.